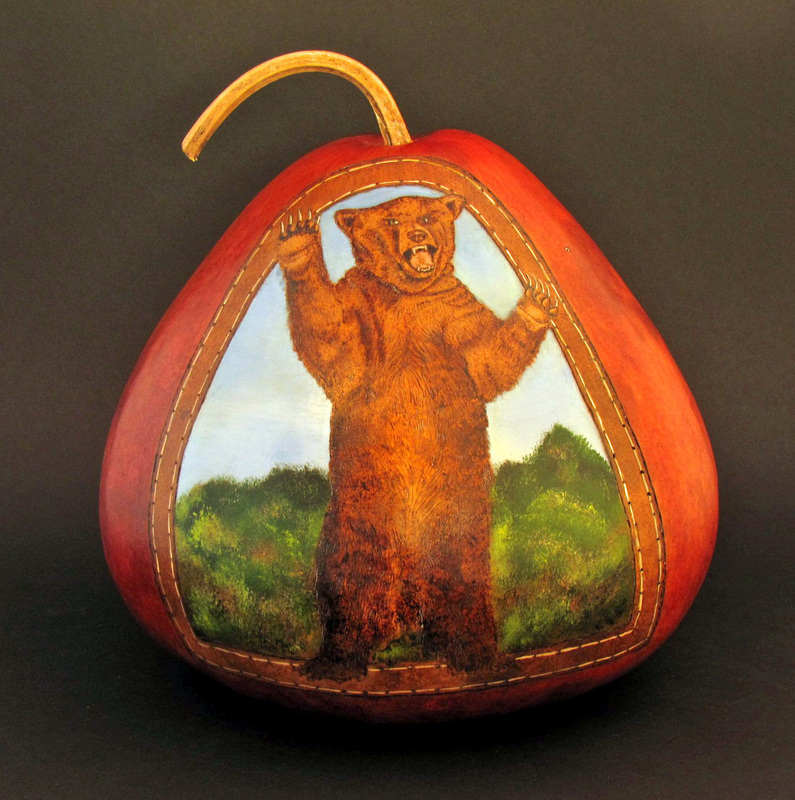 I love to make custom gourd art pieces. 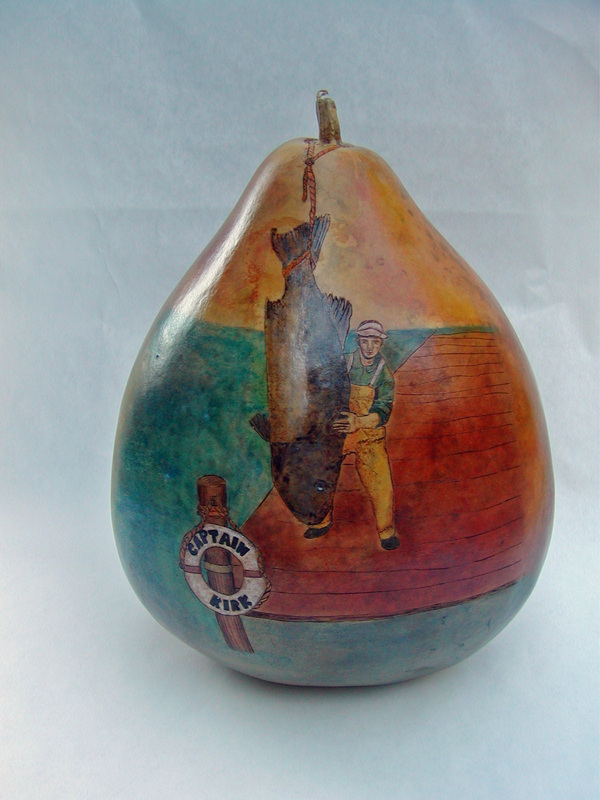 Sometimes it starts with a photo given to me by the customer. 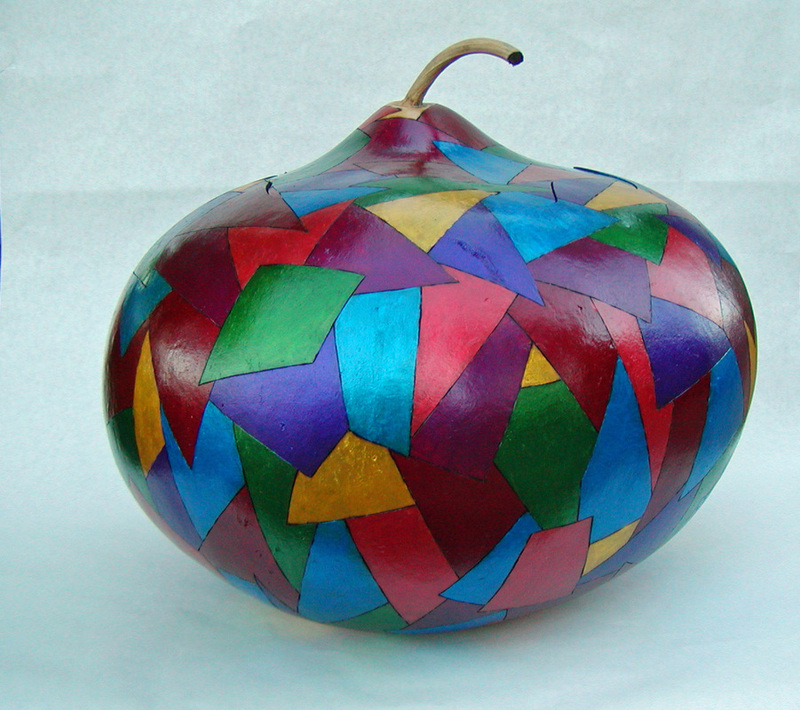 Sometimes I create a piece inspired by a simple idea or a particular subject. 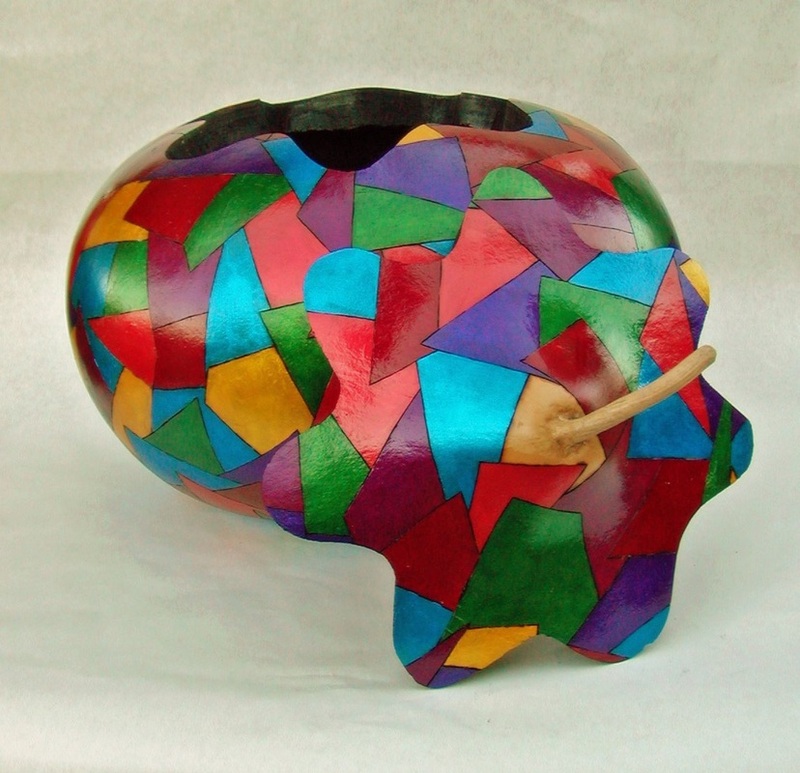 Here are a few examples of pieces we have been commissioned to make. 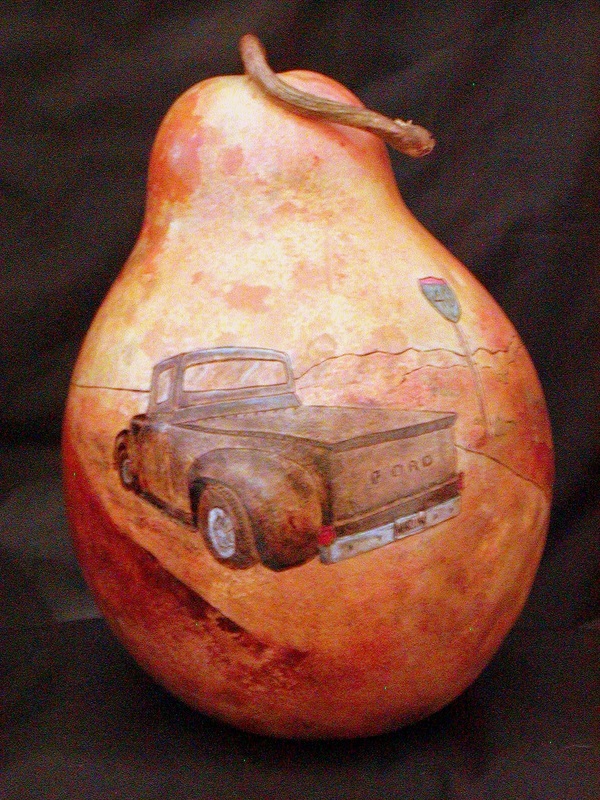 This gourd was commissioned by a very sweet and generous lady who wanted to give her husband a special birthday gift. He loves grizzly bears. 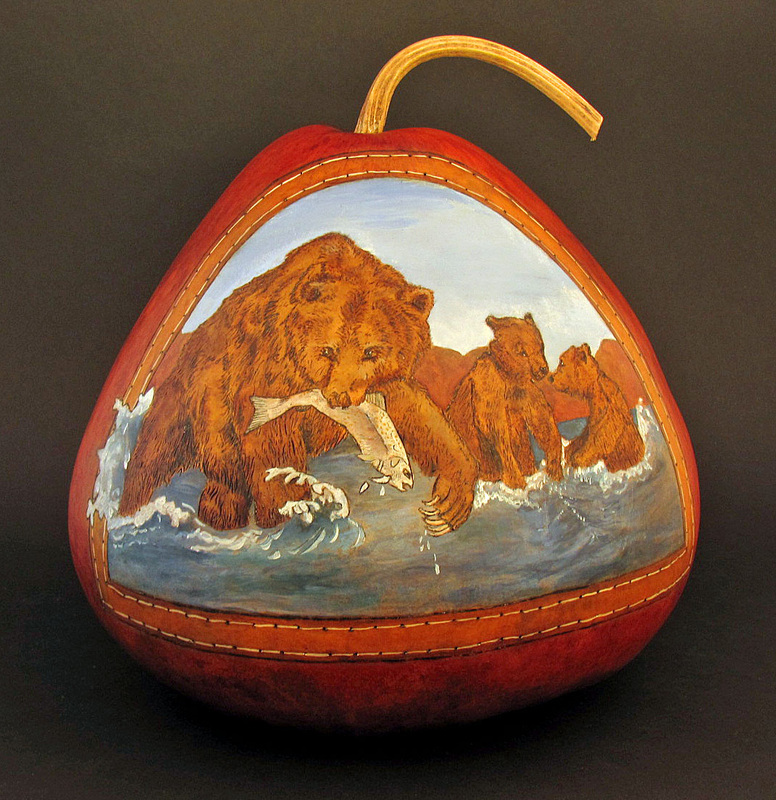 This gourd has a different design on each side - a mama and cubs on one side, and a standing grizzly on the other. Happy Birthday to a lucky fellow! 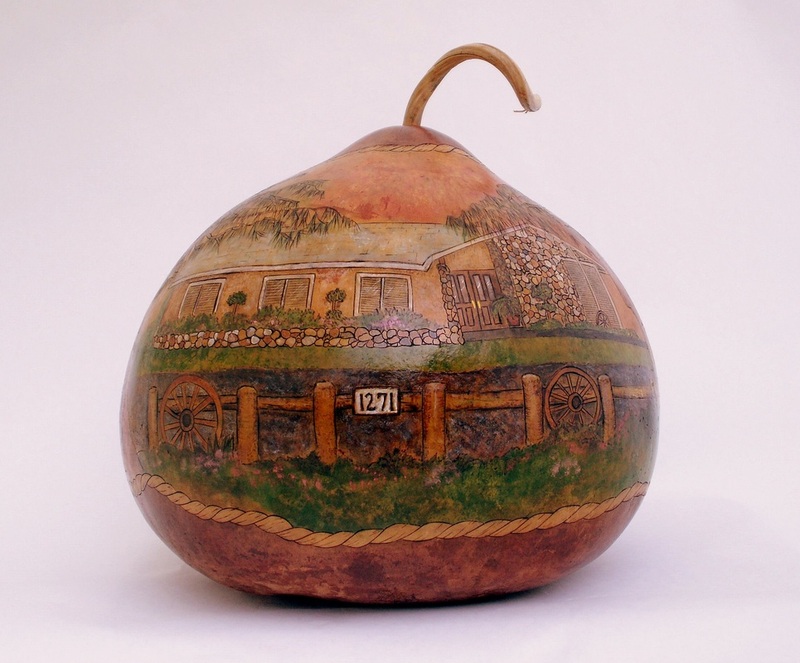 This gourd started with a photo of the customer's husband, Kirk. 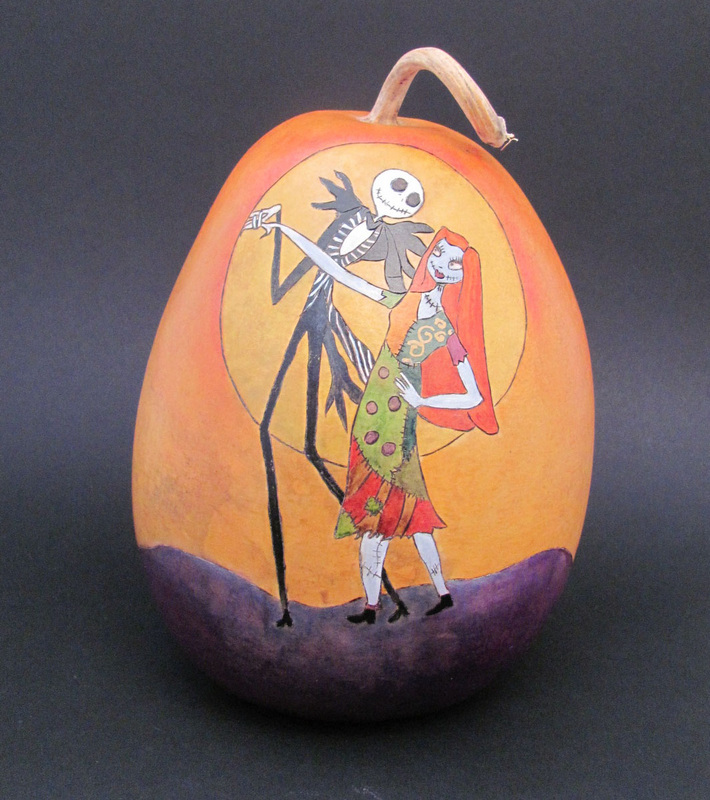 She wanted to give him a very special birthday gift, so asked us to create this piece. And yes, the fish in the photo is real and not photoshopped. 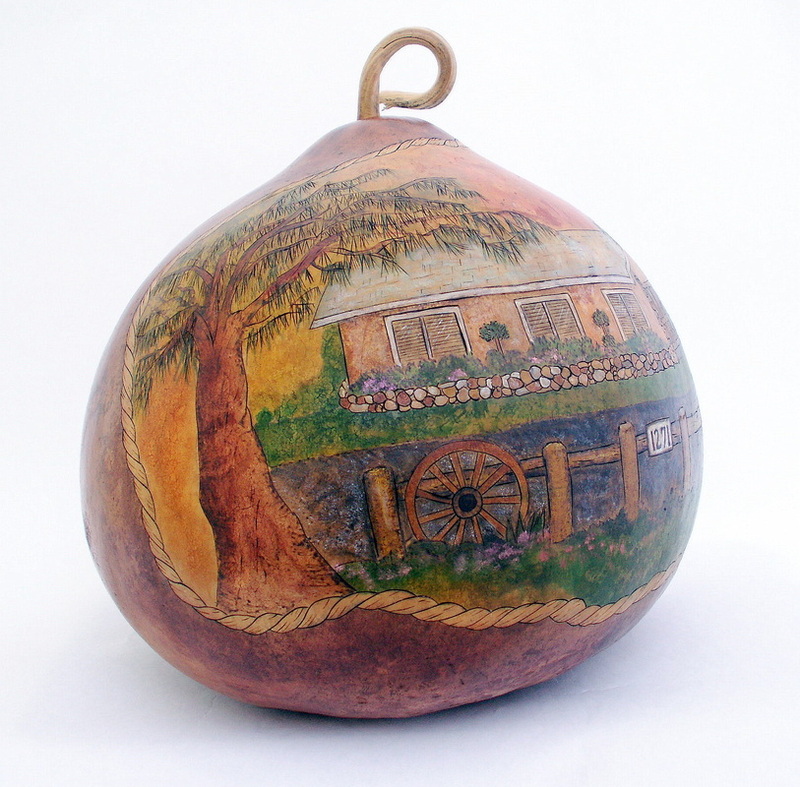 This gourd was commissioned by as an anniversary gift from a husband to his wife. The subject is their home. I went to the site and took several photos to use as reference. 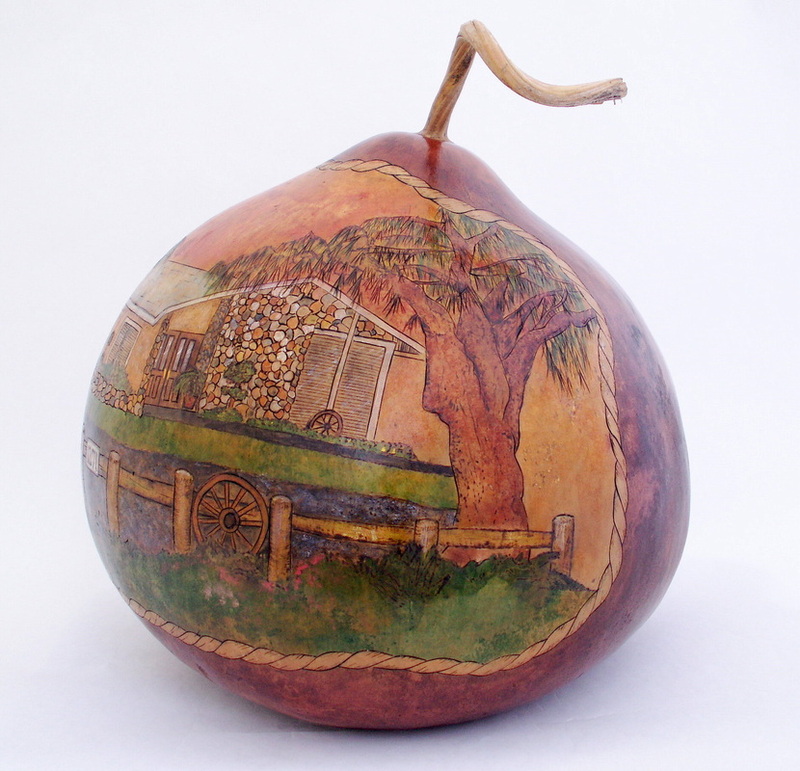 The design was first woodburned, then painted onto the gourd. 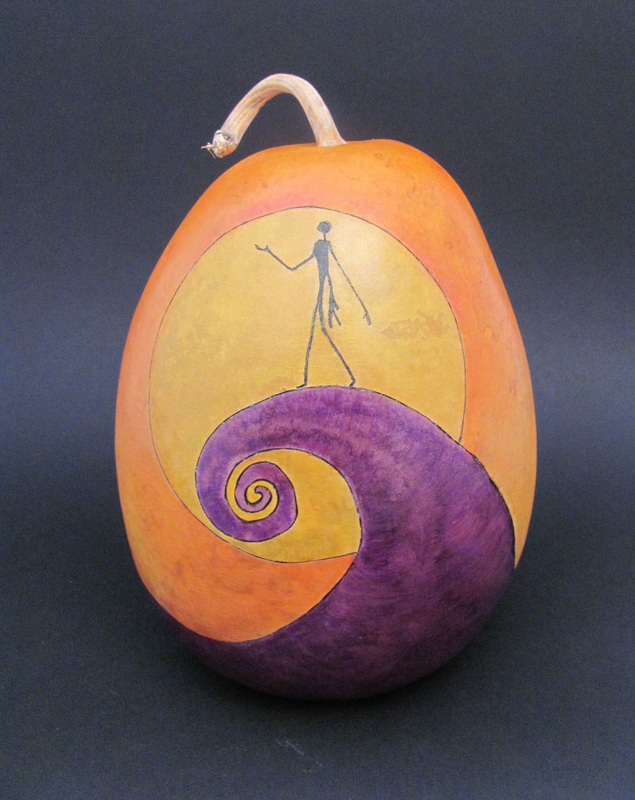 This fun gourd was commissioned as a gift for a fan of the movie, "The Nightmare Before Christmas."